Land speed records are fine and stock car races have their place but when you just have to have the baddest of the bad motor vehicles on the planet, then you need to know what can get from zero to sixty miles per hour the quickest. Appearance has nothing to do with it and the price tag doesn’t factor in — we just want to know how fast can it get me to where I want to go. The faster that I can achieve 60 mph from a stand still, the less time that it will take me to get from point A to point B. So, without further ado let’s examine the fastest cars from 0 to 60 mph in the world. The Ferrari Enzo boasts 660-hp using Formula 1 technology, including a electrohydrauliclly shifted transmission, carbon-fiber chassis, and ceramic composition brakes. 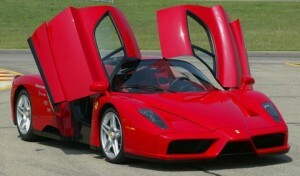 This bad Italian can blast from 0 to 60 mph in 3.14-seconds and it costs around $670,000. This Swedish made high-performance super car makes 1018-hp and costs just over $2-million. It can travel from 0 to 60 mph in 3.1-seconds. 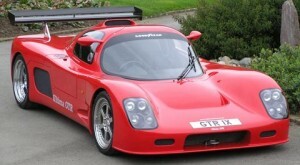 This is one of the rarest cars in the world and can only be purchased through special order from the factory. This British-made car uses a slightly different approach to make it from 0 to 60 mph in just 3.1-seconds. Instead of enormous horsepower the “C-Ham” features an ultra-lightweight body and only 260-hp. Base price for this car is a real-bargain (if you lie dune-buggies) at $72,000. This American made supercar burst from 0 to 60 mph in 3.1-seconds using a moderately powered engine and a super-lightweight carbon-fiber shell. It produces 450-hp and can be had for a cool $90,700. This British bombshell is one of the most widely known and popular supercars in existence. It uses a carbon-fiber composite chassis and M838T twin-turbocharged V8 engine to deliver 592-hp and a 0 to 60 mph time of 3.1-seconds. The price — $230,000. This amazing Japanese production car is nicknamed “Goliath” and for good reason. It launches from 0 to 60 mph in just 2.9-seconds using a 530-hp twin-turbocharged V6 engine. The truly amazing thing is that you could drive right by it on the freeway and never look twice. 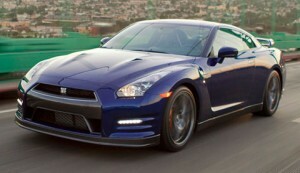 The manufacturer’s suggested retail price (MSRP) is $100,000. This feisty Italian uses a 700-hp V8 engine to rocket from 0 to 60 mph in 2.9-seconds. it is named after a particularly valiant fighting bull from Spain. List price is $380,000. This German-made automobile also uses a 700-hp V8 engine to get from 0 to 60 mph in 2.9-seconds. 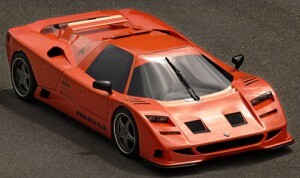 The Gumpert utilizes an Audi V8 with multiple turbochargers and intercoolers. It will cost you $450,000. Having one car on this prestigious list is pretty impressive. Having two is just plain extraordinary. This Swedish manufacturer uses an 1115-hpturbocharged V12 engine and a unique adaptive aerodynamic body module to accomplish 0 to 60 mph in 2.9-seconds, the sticker price is $1,600,000. 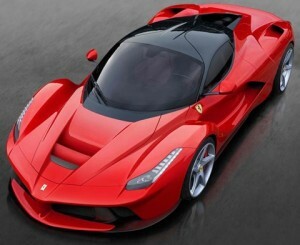 This hybrid powered Italian masterpiece makes 963-hp and 664 lb.-ft. of torque on the way to 60 mph in 2.9-seconds. This car is a limited production special and only 499 units will be produced. The price — if you could locate one for sale — approximately $3.25-million. You can’t have too much ham. 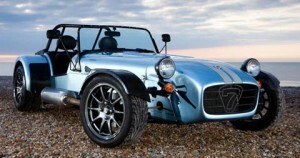 This British-made roadster can bolt from 0 to 60 mph in 2.88-seconds using a super-lightweight chassis configuration and only 263-hp. This is a bare bones stripped racer that sells for around $67,000. When you hear Saleen you think Mustangs but this special creation features a Saleen designed chassis engineering design. 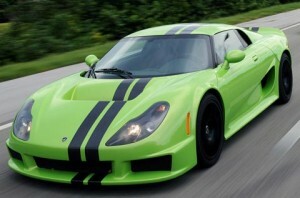 It is a hand-crafted American supercar with a $555,000 price tag, 750-hp, and a 0 to 60 mph time of 2.8-seconds. This British automaker keeps prices high by keeping production to a minimum. Only 10 of these cars are made annually for a price of $650,000. 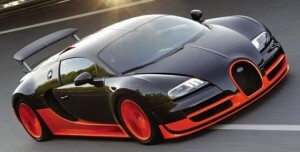 It can get from 0 to 60 mph in 2.8-seconds using a 625-hp power plant designed by Dutch millionaire Klaas Zwart. 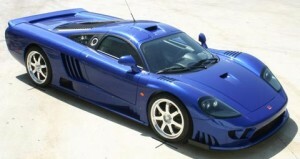 This American-made car, equipped with an 1183-hp engine, the Aero can jet from 0 to 60 mph in a miniscule 2.78-seconds. It was considered the fastest production car in the world until the Bugatti came along (read-on). The MSRP is $655,400. This Italian monster is based on Formula I racing strategy and developed for speed. 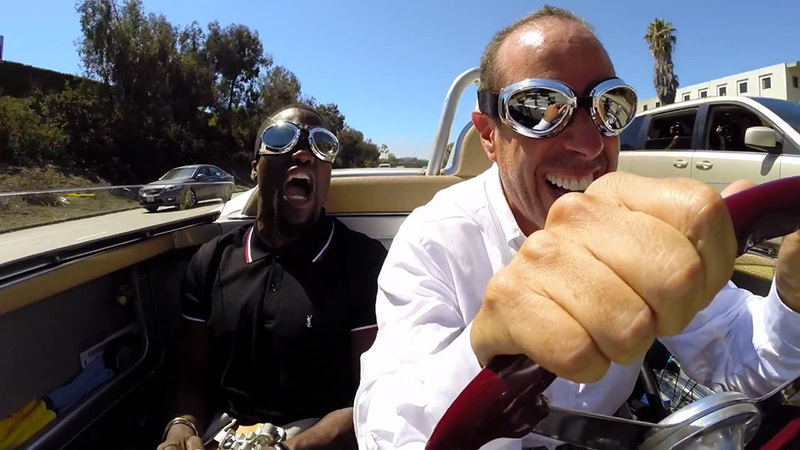 It has been timed getting from 0 to 60 mph in 2.7-seconds. The Zonda R has a 750-hp engine and costs $1.83-million. 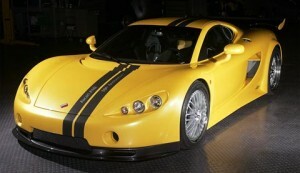 This car gained fame as a star of the popular Gran Turismo video game series. This car looks like an incredible bargain next to the Zonda R, which posted the exact same 0 to 60 mph time of 2.7-seconds. As the name implies, the Porsche 911 Turbo S makes use of a 530-hp rear mounted turbocharged engine and PDK transmission. The base price is $160,700. This kit car is capable of astounding speeds when assembled correctly. A 0 to 60 mph time of 2.6-seconds is achievable using a 727-hp engine in the super-lightweight chassis. MSRP for the kit is $138,300. Only seven of these cars were ever produced, leaving us at a loss to discover the approximate price. The term “priceless” has been thrown around a good deal but we know that, sooner or later, most everything has its price. This car weighed only 850kg, that is approximately 1875-pounds, and it was built around an Audi twin-turbocharged V12 racing engine, so you know hat it was fast. It featured a 0 to 60 mph time of 2.6-seconds. The Sesto Elemento (Sixth Element in Italian) is powered by a V10 engine that produces just 570-hp. That doesn’t sound like much horsepower, but if you take into account that the car weighs only 2,200-pounds, you will understand how it is capable of accelerating from 0 to 60 mph in only 2.5-seconds. It can be purchased for a price of $2.5-million. Hennessey Performance Engineering, a Texas based firm, has been turning out mind-blowing Viper, Corvette, and Cadillac creations for years. Now they are in the hunt for the fastest production car with a design of their own (well, almost); there are some scattered Lotus Elise body parts here and there. There are two variations for this car; a 725-hp and a 1200-hp. We are talking about the 1200-hp, twin-turbocharged LS7 Chevrolet V8 powered car that set an elapsed time of only 2.5-seconds to accelerate to 60 mph from a dead stop. Get down to Texas and get yours for $725,000. This quad-turbocharged 16-cylinder 8.0-liter powered supercar can go from 0 to 60 mph in a flash — 2.4-seconds, to be exact. It comes with a sticker shocking price tag of $1.7-million.